Through use of therapeutic massage and client education, strive to enhance the quality of life for both animals and humans. The Practice Philosophy is for the client to witness the improvements and experience the benefits of therapeutic massage. 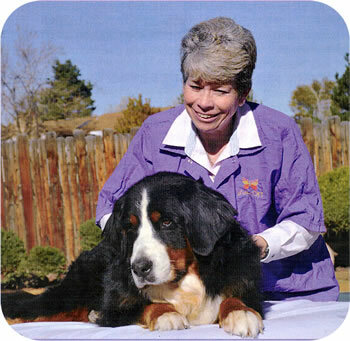 Therapeutic Massage has physical, mental and emotional benefits for us all - animal and human. Woof and Hoof clients experience marked results in most circumstances. Please contact us about your specific needs.